Going to the toilet is a very private affair, and if you happen to be in your own home, you do not have to worry too much about making some weird noises especially when your stomach is churning after having way too much curry the night before. In a public setting, if you happen to let out too much wind during the defecation process, it could end up as a potentially embarrassing situation when you get out from the existing stall with everyone else in there having heard you prior and seeing you in the flesh. If only there was a way to stop the “melody”, which can be achieved via the $30 Eco Melody 3201 Toilet Sound Blocker. 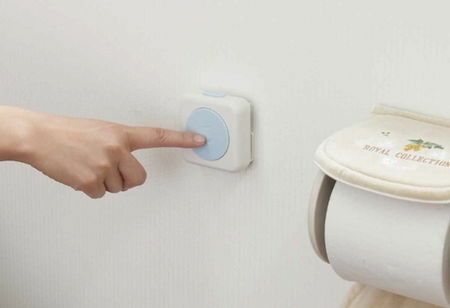 This flushing water noise gadget can be attached to any wall, and pressed whenever nature comes a-callin’.